Melanie enjoys learning new languages and studying etymology and the relationships between languages. When translating from one language to another, elements of the original text can be lost in translation. 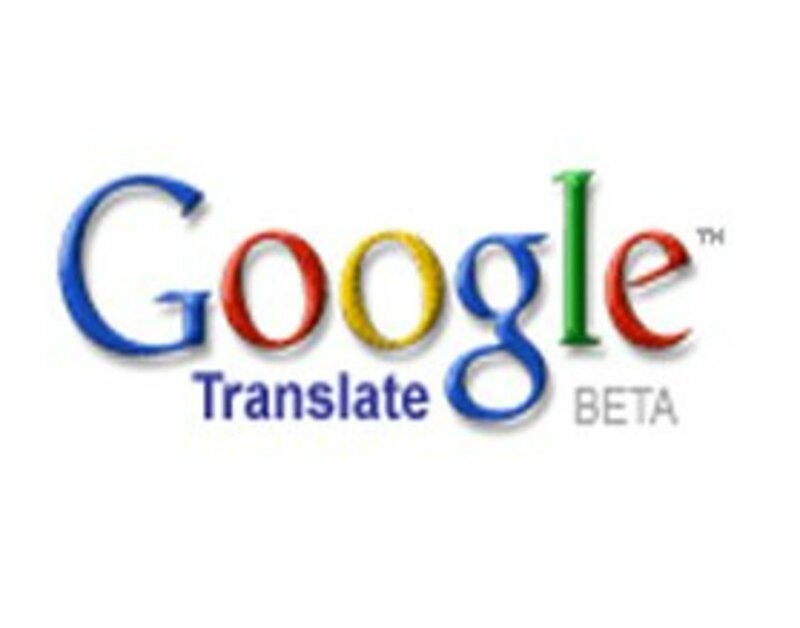 Anyone who has attempted translating something will notice that a translation can result in sometimes odd and awkward language. Poetic and otherwise 'pretty' structure of the original text isn't all that can be lost. In fact, an entire message can be completely altered. As follows are a few of the various ways in which a text can be altered, reasons why they're altered, and how this is unavoidable. A foreign exchange student from Hungary, Mariann, who was staying with us, helped me learn the meaning behind the cryptic message on the plaque. Mariann chuckled when she read the plaque and then explained to me that there was no right way to explain what it meant in English. The above isn't the only example of meaning getting lost in translation. There are hundreds of different versions of the Bible, with many translations touting that it's the best translation. Some modern-day translations branch right off the Greek version of the Bible, however, these translators may want to consider that the Bible was originally written in Hebrew and then later translated into Greek. 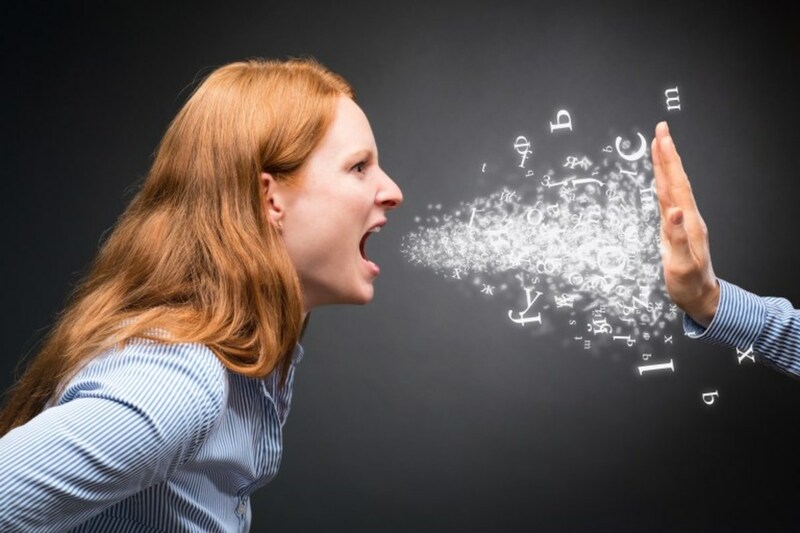 Translators must be able to understand various elements of their native language, the language they're translating from, and the document they're translating. 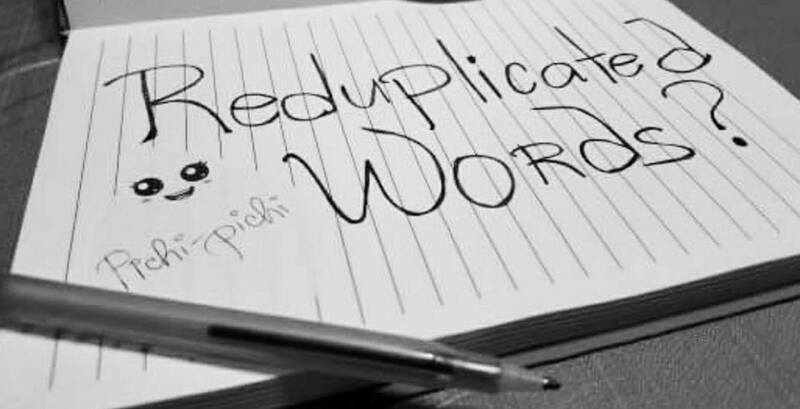 A translator isn't someone who just looks up a word in a dictionary, translating a document word for word. 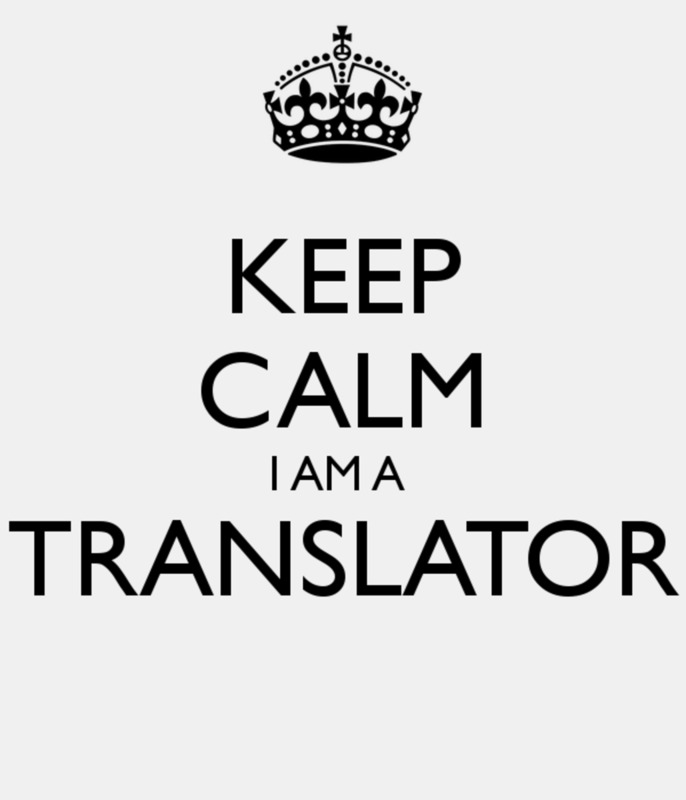 In fact, translation is a moving and growing field! 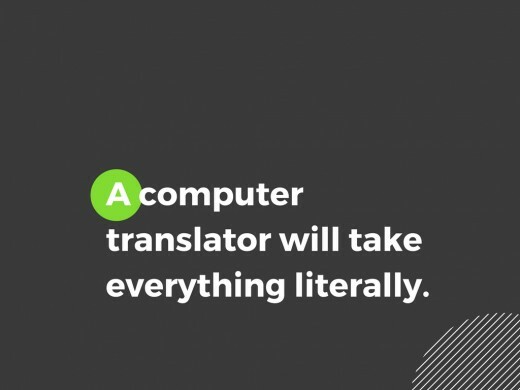 As a more colorful example of meaning getting lost in translation, take a look at the following phrase: “A computer translator will take everything literally." What does “Everything must be taken literally translates from one computer,” mean? Of course, given that I know the original English meaning, I felt my thoughts would be either be biased toward the original English version (since I created the example) or toward something wildly different (since I'm trying to make a point.) I asked a few unsuspecting friends to take the sentence, “Everything must be taken literally translates from one computer,” throw out what didn't make sense, and turn it into a complete thought. When translating something literally, as Google Translate often does, the meaning can be skewed. 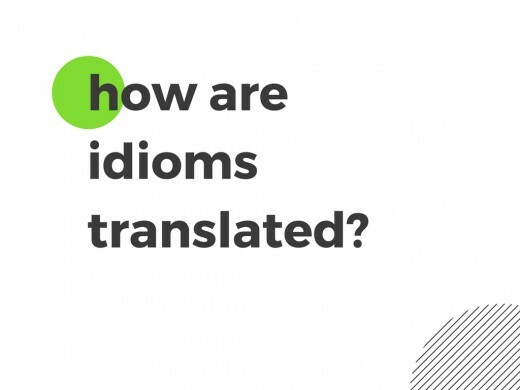 How human translators are forced to fill in the gaps using what information they have. In the above case, the translators (my friends), had no context to go by other than keywords in the phrase and the fact that I was picking their brains for a linguistics project. Why a translator should consider the influences of their own environment when translating. The respondents who were able to create sentences, (in the order of the responses) are a polysomnographer who studies the sleeping brain using a computer (it was the tie between this response and this person's employment that I found particularly noteworthy), an Engineering Technology major, and a machine operator. Original: "J'ai Pas Vingt Ans"
English Version: "I'm Not Twenty"
The skewing of meaning isn't always accidental. In some cases, the definition is skewed so the text can fit certain parameters. This is a frequent occurrence in poetry and music where syllables of words are incredibly important to keep a certain beat. 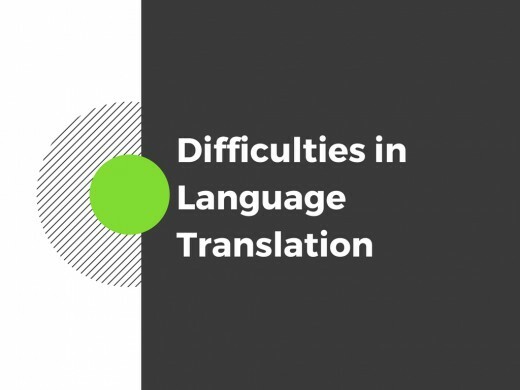 What accounts for problems in translation? There are a wide number of issues involving the translation of a text. For example, in English, you would say, “She is going to the store.” In Italian, you would say, “Lei va al negozio,” which would translate to, “She goes to the store.”9 The verb “to be” would be strange here. “To be” is the state of being something. You can be a good person; you can be tall or be short. You can't be 'going.' “Going” is a verb; you can't be it, at least not in Italian. There is another thing to consider. Take the sentence, “I want a pizza.” In Italian, this could be, “Io voglio una pizza.” However, given “voglio” is the Io (I) conjugation of the verb “volere” (to want,) an Italian speaker could just say, “voglio una pizza.”10 The “Io” is unnecessary. Italian listeners would understand that it's the speaker who wants the pizza. In English, if you were to say, “Want a pizza,” listeners wouldn't know who wants the pizza. Do I want a pizza? Do they want a pizza? We? Italian isn't a fuller or richer language, but these examples do shed some light on how languages differ and, in turn, show the difficulties that are involved in translation. A translator should be aware of the rules in both the source and target languages to prevent potentially significant problems in translation. An error here could change the meaning of a phrase from, “I would prefer to not go to school,” to, “There is no way I'm going to school.” While it's true the writer in both cases doesn't want to go to school, both the degree to which the author dislikes school and the tone of the sentence change considerably. Problems in translation aren't limited to grammar. 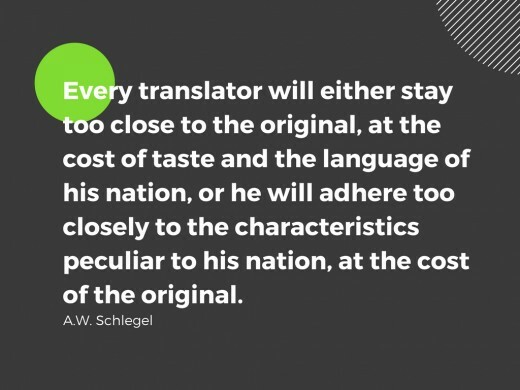 The cultures of the original author of the text, the translator, and the target audience of the translated version all have to be examined. The problem here is twofold. Should a translator take the original piece and turn it into something easily digested by the readers of the target-language (use ideas and slang popular in the target culture) or should he translate it such a way that reader should consider it in the context of the culture from which the text originated? When text is being translated from one language to another, it’s easily altered (this is unavoidable.) There are many variables at play when a text is translated which include. Differences in the source and target languages also play a part in issues with translation. As I have demonstrated, grammar and negative concord are two problems that have to be considered when “comparing” two languages. Even a noun can throw off translation. For example, the usage of the word “sister” in “The Song of Solomon” may cause some readers/translators to believe that the writer speaks of an incestuous relationship. This is an example where culture and word usage come into play. When some pieces of text are translated, they can lose their purpose. The purpose of the painted Garfield plaque was to make the reader laugh. There is no doubt that this was funny to a Hungarian, but when translated into English, the plaque wasn’t funny. Regarding poetry and music, aesthetics play a huge role in whether or not an audience will enjoy a piece. A certain beat must be kept for a song to sound okay. Thus, when a song is translated, the translator has to be wary of syllables, especially pertaining to whether they’re cramming too many syllables into a measure or too few! If this doesn’t make a translator’s life hard, they have to consider which words are acceptable in the target language. “Okie dokie,” for example, seemingly has no place in American pop music. 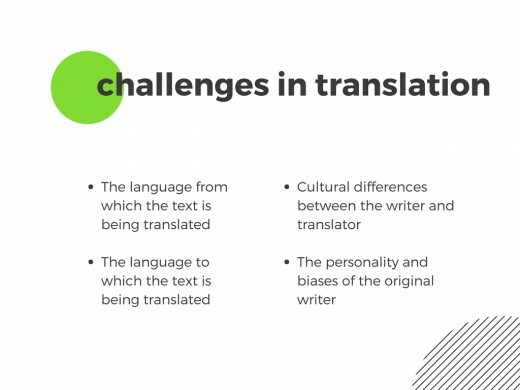 As you can see, there are a huge number of obstacles involved in the translation of a piece. Even when taking all of the above into account, a translator will still finish with a piece that is different from the original. 2. 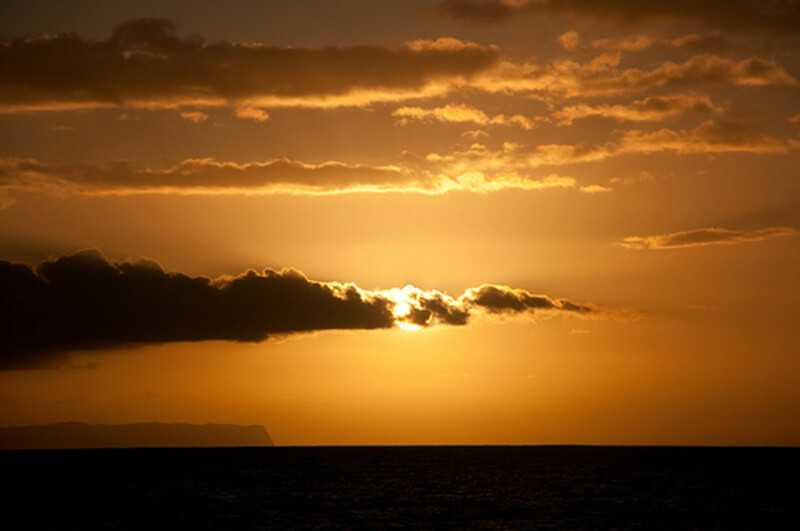 "Five Mistakes in Your Bible Translation." The Huffington Post. 3. "Alizée - J'ai Pas Vingt Ans." YouTube. 4. "Alizee - I'm Not Twenty." YouTube. 5. UltraRecords. "Basshunter - Boten Anna." YouTube. 6. UltraRecords. "Basshunter - Now You're Gone." YouTube. 9. Lazzarino. Prego! An Invitation to Italian. McGraw-Hill, 2011. 10. 501 Italian Verbs. Barron's, 2007. 12. "The Translator's Dialogue." Giovanni Pontiero. I love translating Spoken Kuwaiti Arabic to English but I get stuck sometimes. And you are right there is always the wrong translations of words of foreign languages especially if it is not your own language. I love the videos. Well done. Very good article! I am a translator and in fact my mother tongue is Hungarian ( so yes, I found your Garfield example funny). I run into the problems you described every day. I gave up translating for a while because of some of the frustration. It is especially hard to translate between English and Hungarian, since the languages and their structures are so very different. You basically need to rewrite every single sentence. I had a good laugh once when I plugged in a text to google translate just to make this very point. The "translation" was so far from the original, it didn't even mean closely the same thing. Anyway, great hub! Thank you for bringing this to your readers' attention. One of my brothers wrote a translation of Tao The Ching, published by Anusara in 2004. In the Introduction he says of the original, "Its spare, enigmatic language has encouraged many translators to import images and concepts from their own cultural traditions into the ancient Chinese text." Like, one 19th century translation I found online makes the Tao The Ching read like an apology for British colonialism. My brother shaped his translation on the basis of his convictions concerning who the early Taoists were and how they and Confucianists used the same terms differently. Excellent hub. Up, Useful, and Interesting.